Lash Tribe provides assistance for around 400 children and their families every month. Outsourcing Angel is more than just a business, OA is a company that has a strong passion for social empowerment. OA care about helping others and believe that OA can create a better future by spreading the love and giving to those in developing countries who are less fortunate than us. With their projects, OA makes sure all the proceeds Lash Tribe and they give actually go straight to the people who are in need. That is their difference. Outsourcing Angel has a partnership with Tribu Ni Bro (TNB), whom are all volunteers located in the Philippines. These men and women use Lash Tribe’s and their additional funds to purchase food, supplies, and other necessities to provide to the people in need. *Our funds do not go into their salaries or any organisational costs. When you donate to our cause, all your funds will go directly to our charity partner who will also use the funds to directly help those in need. When you donate to our cause, all your funds will go directly to our charity partner who will also use the funds to directly help those in need. Outsourcing Angel will always be transparent in everything that they do and will keep you updated on how the funds have been used. Outsourcing Angel appreciates all donations that come through. No matter how much or how little, every single dollar counts and the OA Family are so excited to show you what they can achieve with the collected funds. 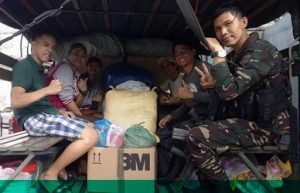 Donations will be received by Francisco Soque, a member of Tribu Ni Bro, the socio-civic organisation that facilitates our charity activities. OA will keep you up-to-date with all the progress of the #OALoveProjects. Outsourcing Angel invite you to follow their Facebook page where they will regularly discuss and share our projects status. 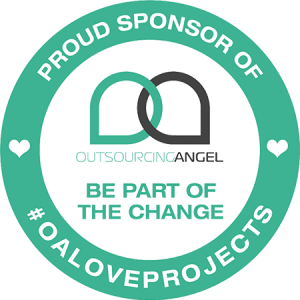 Words without actions have little meaning, find out more about the #OALoveProjects they’ve previously done and future projects that OA are planning, because you too can be part of the change. During May our team will go to Southern Luzon in the Philippines, with the goal of rebuilding their fishpond as it will benefit the local community by supplying them with a source of food that they can eat and sell. Aside from plumbing, the rural communities have limited electricity supplies so building an energy source in the area is another future project OA have in mind. 250 kids and their families! Each month, Outsourcing Angel help provide meals, supplies and aid to the children, and OA Family are so grateful for all our clients for their ongoing support because without them these projects wouldn’t have been possible.